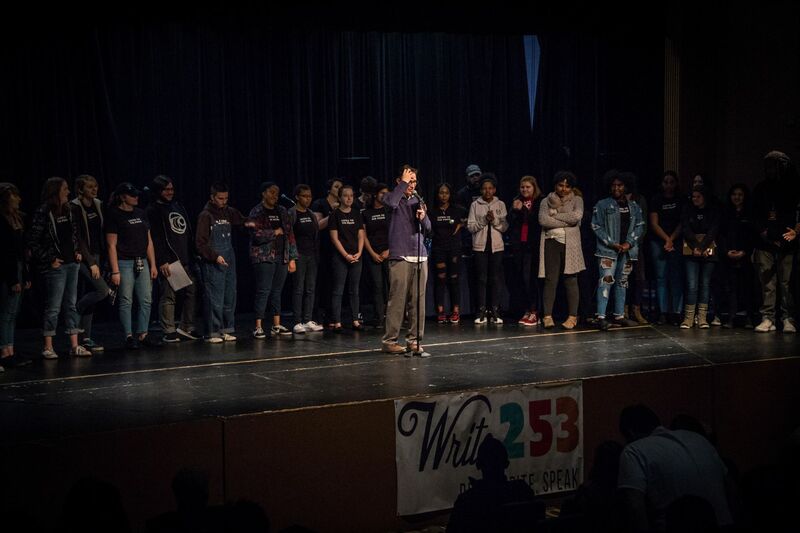 2018 Louder Than A Bomb – Tacoma teen poetry slam presented by Write253. Photo provided by Write253. 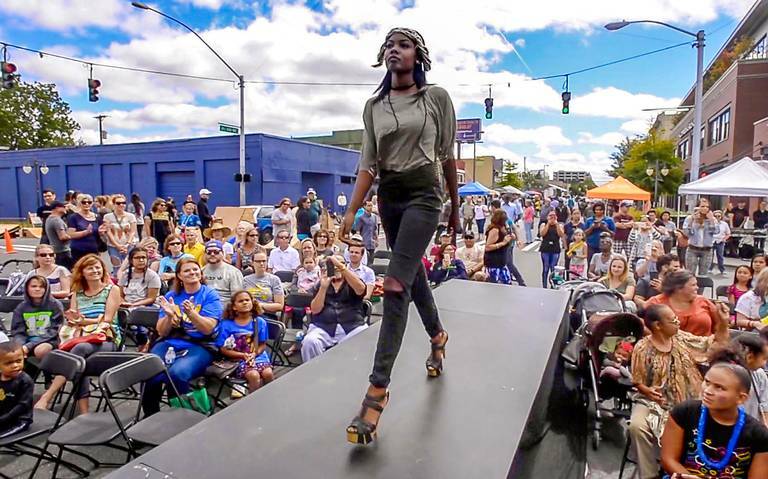 The Tacoma Arts Commission recently awarded $100,000 in Arts Projects funding to 32 Tacoma organizations in support of 2019 public outreach projects in the fields of dance, craft, film, music, visual, literary, cross-disciplinary, and cultural arts. The awards range in value from $1,200 to $5,000. Funded projects include the production of eleven diverse cultural and arts festivals; two visual arts workshop series; an arts and culture podcast series; a screenwriting workshop; two filmmaking projects; a film festival; a historical arts and crafts demonstration series; three visual arts, culture, and music education programs; three dance workshop series and performances; six music performance series; a poetry writing and performance program for youth; and community engagement events. A successful Monkeyshines hunter shows off their treasure. Photo provided by Monkeyshines. Funded organizations include Asia Pacific Cultural Center, Barefoot Collective, Centro Latino, Channel 253 LLC, Children’s Museum of Tacoma, Chinese Reconciliation Project Foundation, Classical Tuesdays in Old Town, Destiny City Film Festival, Dru Films, Eastside Neighborhood Advisory Council of Tacoma, Fort Nisqually Foundation, Happy Fox Studio, Hilltop Business Association, Kareem Kandi World Orchestra, King’s Books, Latinx Unidos of the South Sound, Metropolitan Glass, Orchestral Recital Series of Tacoma, Peace Works United, Sister Cities Council Of Tacoma, Sixth Avenue Business District, Tacoma Arts Live, Tacoma City Ballet, Tacoma Concert Band, Tacoma Girls Rock, Tacoma Ocean Fest, Tacoma Refugee Choir, Tacoma Urban Performing Arts Center, Ted Brown Music Outreach, Vietnamese American Community Association, Washington State Historical Society, and Write253. 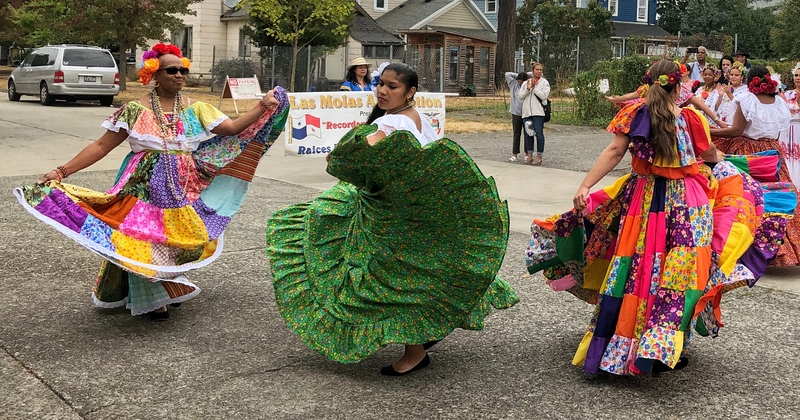 Centro Latino Latin dancers at the 2018 Hilltop Street Fair. Photo provided by Centro Latino. Arts Projects funding supports the Hilltop Street Fair. Photo courtesy of Hilltop Business Association. The Tacoma Arts Commission recently awarded $50,000 in Arts Projects funding to 19 Tacoma organizations in support of 2017 public outreach projects in the fields of theater, visual, dance, music, literary, film, cross-disciplinary, and cultural arts. The awards range in value from $1,000 to $4,500. 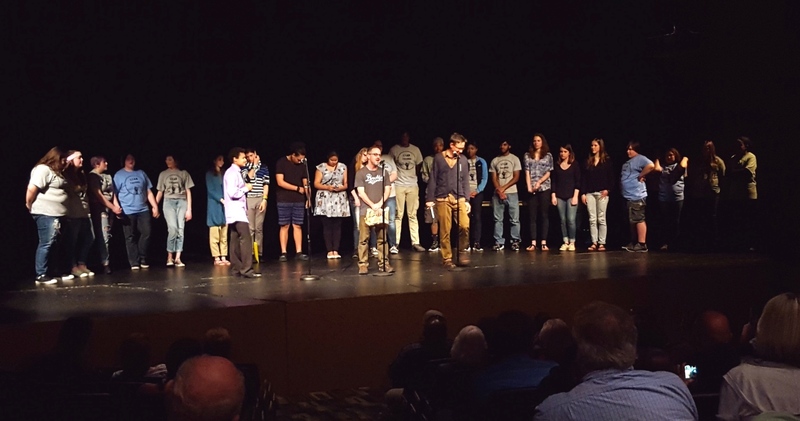 Arts Projects funding helps support Write253’s Louder Than a Bomb teen poetry slam. Photo courtesy of Write253. Funded projects include the production of six diverse cultural and arts festivals, historical arts and crafts demonstrations, visual art programs for families, three dance workshop series, one film festival, one theater production, three music performance series, poetry writing and performance workshops for youth, poetry readings, and visual art exhibits. 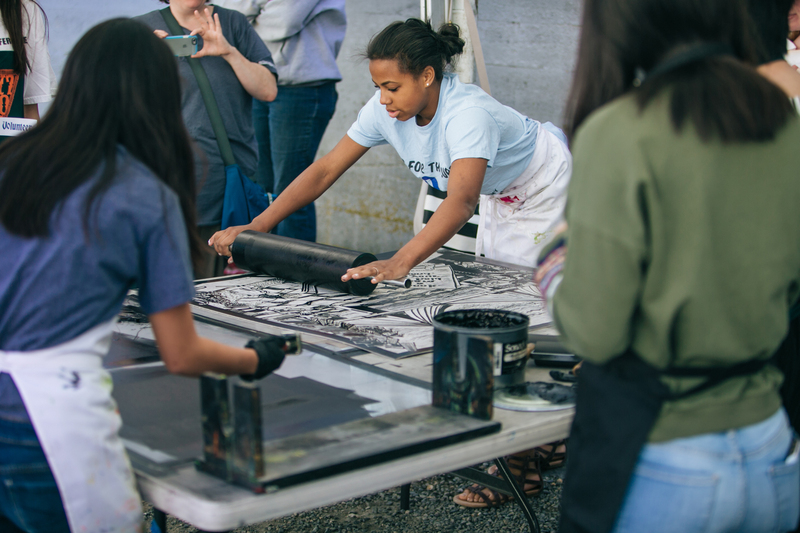 Arts Projects funding supports Tacoma Wayzgoose: Letterpress and Book Arts Festival. A student from Charles Wright inks a linoleum plate for Steamroller Printing. Photo by Scott Haydon. Funded organizations include Asia Pacific Cultural Center, Barefoot Collective, Centro Latino, Children’s Museum of Tacoma, Old Town Business & Professional Association, Destiny City Film Festival, Eastside Neighborhood Advisory Council of Tacoma, Fort Nisqually Foundation, Foss Waterway Seaport, Hilltop Business Association, King’s Bookstore, Morgan Family YMCA, Northwest Repertory Singers, Puget Sound Poetry Connection, Salishan Association, Tacoma Concert Band, Toy Boat Theatre, Washington State Historical Society, and Write253. 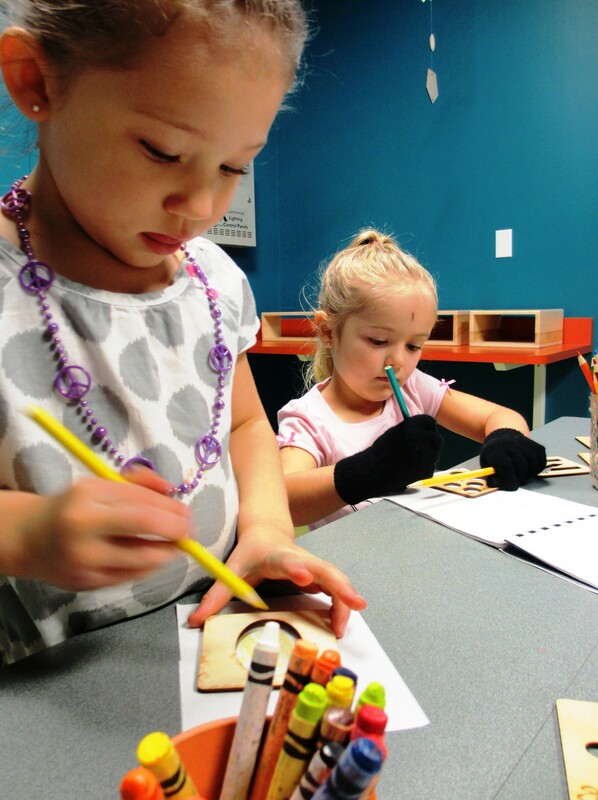 Arts Projects funding helps support hands-on arts programming at the Children’s Museum of Tacoma. Photo courtesy of Children’s Museum of Tacoma. The Tacoma Arts Commission recently awarded $50,000 in 2016 Arts Projects funding to 20 Tacoma organizations in support of public outreach projects in the fields of music, dance, theater, literary, visual, film, cross-disciplinary, and cultural arts. The awards ranged in value from $1,000 to $5,000. 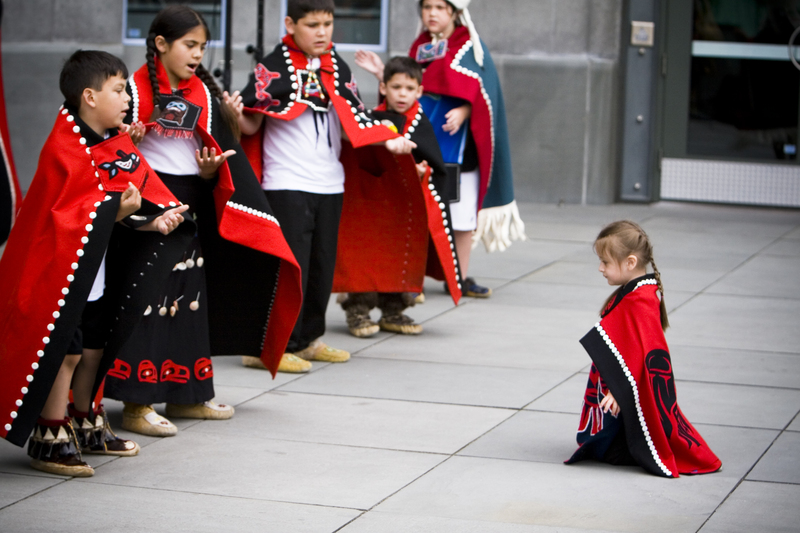 Children of the Alaska Kuteeyaa Dancers begin a dance performance. Photo courtesy of the Washington State Historical Society. Funded projects include the production of six diverse cultural and arts festivals, historical arts and crafts demonstrations, visual art programs for families, contemporary dance performances, two theater productions, four music performance series, poetry writing and performance workshops for youth, poetry readings, visual art exhibits and lectures, and an international film festival. 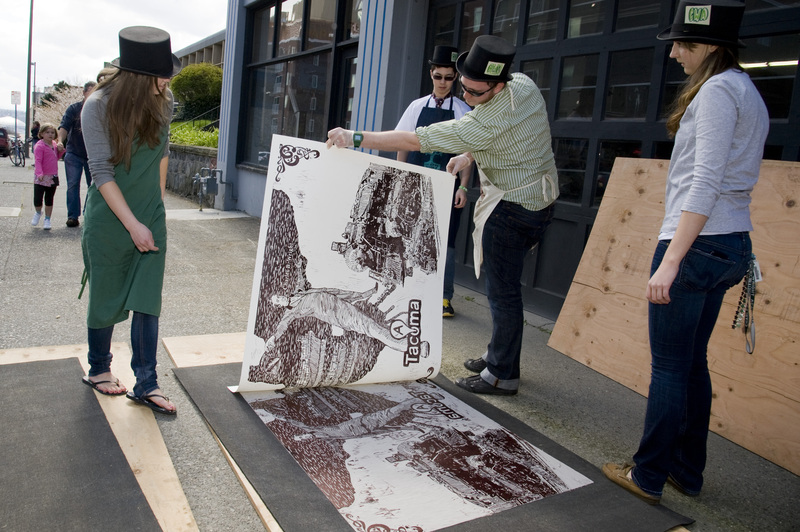 Revealing a steamroller print, created by Charles Wright Academy, at Wayzgoose. Photo by Aaron Locke. Funded organizations include Asia Pacific Cultural Center, Assemblage Theater, Barefoot Collective, Centro Latino, Children’s Museum of Tacoma, Feast Arts Center, Fort Nisqually Foundation, Foss Waterway Seaport, Hilltop Business Association, King’s Bookstore, Northwest Repertory Singers, Old Town Business and Professional Association, Puget Sound Poetry Connection, Second City Chamber Series, Sister Cities Council of Tacoma/Pierce County, Sixth Avenue Business District, Tacoma Concert Band, Tacoma Little Theatre, Washington State Historical Society, and Write@253. 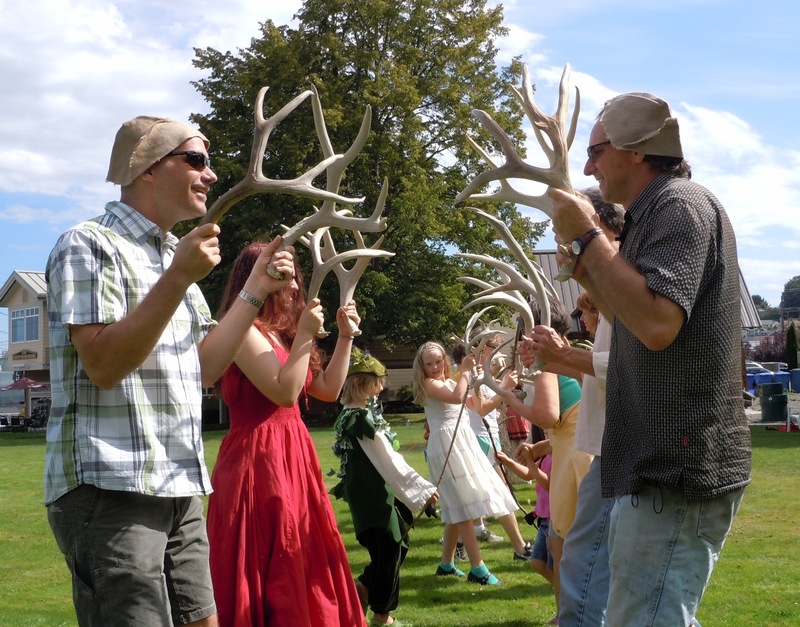 Community members participate in The Horn Dance, part of Puget Sound Revels’ Bromliad event. Photo courtesy of Puget Sound Revels. The Tacoma Arts Commission recently awarded $50,000 in 2015 Arts Projects funding to 18 Tacoma organizations in support of public outreach projects in the fields of music, dance, theater, literary, visual, cross-disciplinary, and cultural arts. The awards ranged in value from $1,000 to $4,600. 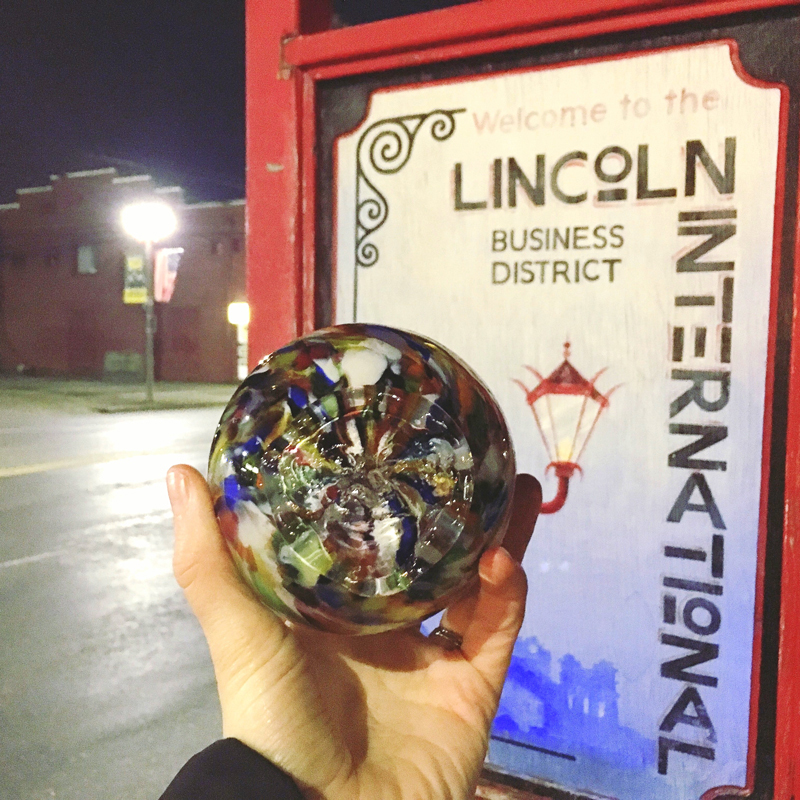 Arts Projects funding will help support the 12th year of Monkeyshines – a guerrilla art project. Photo provided by Monkeyshines. Funded projects include the production of five diverse cultural and arts festivals, historical arts and crafts demonstrations, visual art programs for families, contemporary and classical dance performances, a theater production, a variety of music performances, poetry readings, arts components to a cultural event, and a community-wide guerrilla art project. Funded organizations include the Asia Pacific Cultural Center, Children’s Museum of Tacoma, Elements of Education, Fort Nisqually Foundation, Hilltop Business Association, King’s Bookstore, Metropolitan Glass, Northwest Repertory Singers, Old Town Business and Professional Association, Puget Sound Poetry Connection, Puget Sound Revels, Second City Chamber Series, Tacoma City Ballet, Tacoma Concert Band, Tacoma Maritime Fest, Toy Boat Theatre, University of Washington, and the Washington State Historical Society. 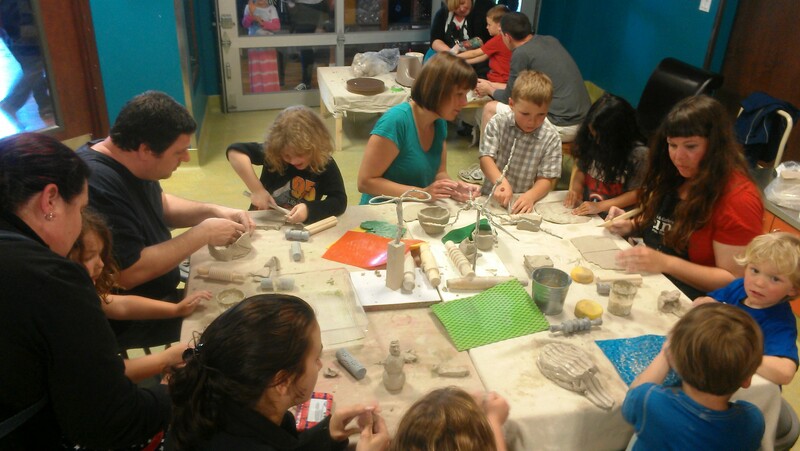 Visitors to the Children’s Museum of Tacoma participate in Art Sparks hands-on programming. Photo courtesy of the Children’s Museum of Tacoma. The Institute of Museum and Library Services announced earlier this week that the Children’s Museum of Tacoma is a National Medal for Museum and Library Service finalist. The National Medal, the nation’s highest honor conferred on museums and libraries for service to the community, is celebrating its 20th year of saluting institutions that make a difference for individuals, families, and communities. Medal finalists are selected from nationwide nominations of institutions that demonstrate innovative approaches to public service, exceeding the expected levels of community outreach. This year’s finalists exemplify the nation’s great diversity of libraries and museums and include an aquarium, conservatory and botanical gardens, a university library, individual libraries, children’s museums, art museums, science centers, and more, hailing from across the country. Finalists are chosen because of their significant and exceptional contributions to their communities. The Children’s Museum of Tacoma’s contributions to the community through programs like Pay As You Will admission, the Play to Learn outreach program, and Growing Together initiatives are recognized as programs that lead the nation in innovation, response to community need, and accessibility. The Tacoma Arts Commission is proud to support the Children’s Museum of Tacoma through its Arts Projects funding program. The Commission also recognized KeyBank with the 2012 AMOCAT Arts Patron Award for their financial support in making the Museum’s Pay as You Will admission possible. Photo courtesy of the Children’s Museum of Tacoma. 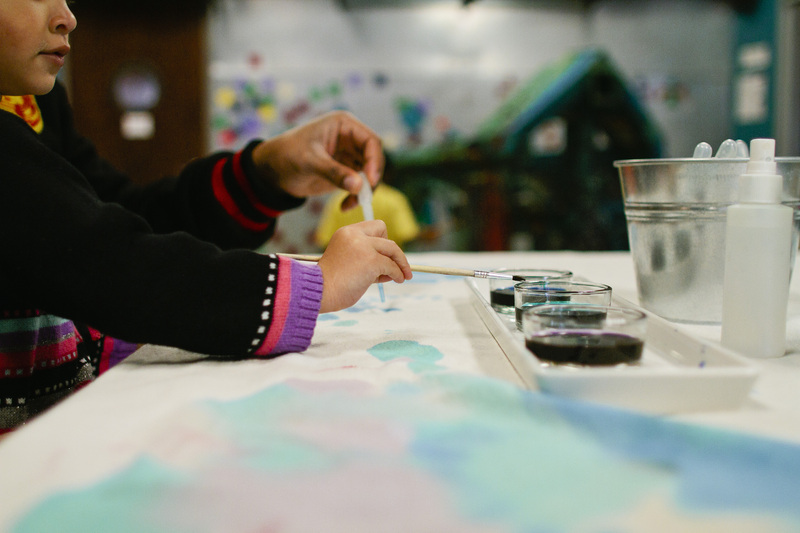 Located in Pierce County, where 35% of families are low income, 1 in 5 people serve in the U.S. military, and vital early education services are not available to all families, the Museum serves its community through accessible, affordable early learning experiences. Growing Together – a suite of developmentally and needs-appropriate programming for children with special needs and their families. Through collaboration with a wide range of community partners, comprehensive output- and outcome-based program evaluation, and input from participants, the Museum has developed and continues to reshape its programs to best meet the needs of the community. Strong programmatic and organizational partnerships create efficiencies while bringing a dynamic quality and strength to the Museum’s programs. For more information about Children’s Museum of Tacoma, visit www.playtacoma.org. The Institute of Museum and Library Services is the primary source of federal support for the nation’s 123,000 libraries and 17,500 museums. Their mission is to inspire libraries and museums to advance innovation, lifelong learning, and cultural and civic engagement. Their grant making, policy development, and research help libraries and museums deliver valuable services that make it possible for communities and individuals to thrive. To learn more, visit http://www.imls.gov. 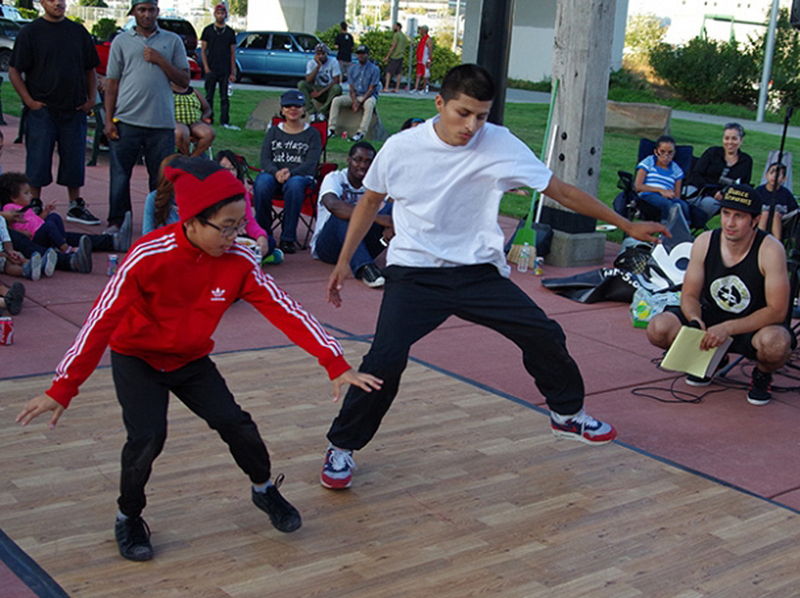 A duo does a dance routine during the final round of Fab-5’s AfterLIFE breakdance battle. Photo provided by Fab-5. 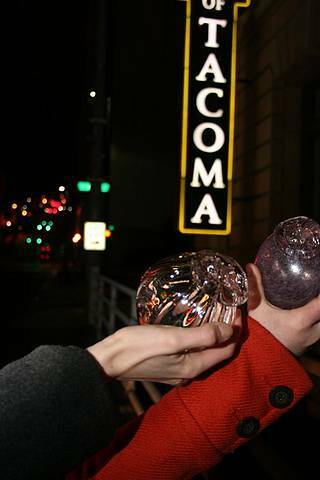 The Tacoma Arts Commission recently awarded $50,000 in 2014 Arts Projects funding to 19 Tacoma organizations in support of public outreach projects in the fields of music, dance, theater, literary, film, urban, visual arts and cultural arts. The awards ranged in value from $1,000 to $4,000. Funded projects include the production of five diverse cultural and arts festivals, visual art programs for families, urban art classes for youth, contemporary and multidisciplinary dance events, a variety of music performances, an international film series, poetry readings and workshops, arts components to a national conference and a community-wide guerrilla art project. 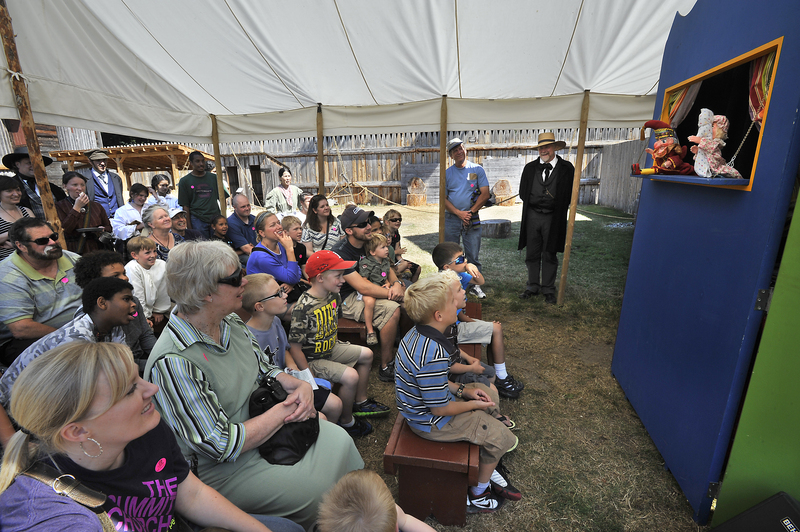 Punch and Judy performance by Kelsey Sample at Ft. Nisqually’s Crafts of the Past. Photo provided by Ft. Nisqually. Funded organizations include the Asia Pacific Cultural Center, Children’s Museum of Tacoma, DASH Center for the Arts, Fab-5, Fort Nisqually Foundation, King’s Bookstore, Local Life, Metropolitan Glass, MLKBallet, Northwest Repertory Singers, Old Town Business and Professional Association, Puget Sound Poetry Connection, Second City Chamber Series, Sister City Council of Tacoma, Tacoma Concert Band, Tacoma Maritime Fest, the BareFoot Collective, University of Puget Sound, and the Washington State Historical Society. The Arts Projects funding program supports high quality community projects with a strong focus on arts that are accessible and affordable to the public. Twenty-three Arts Projects applications were submitted to the Tacoma Arts Commission with requests totaling $92,400. 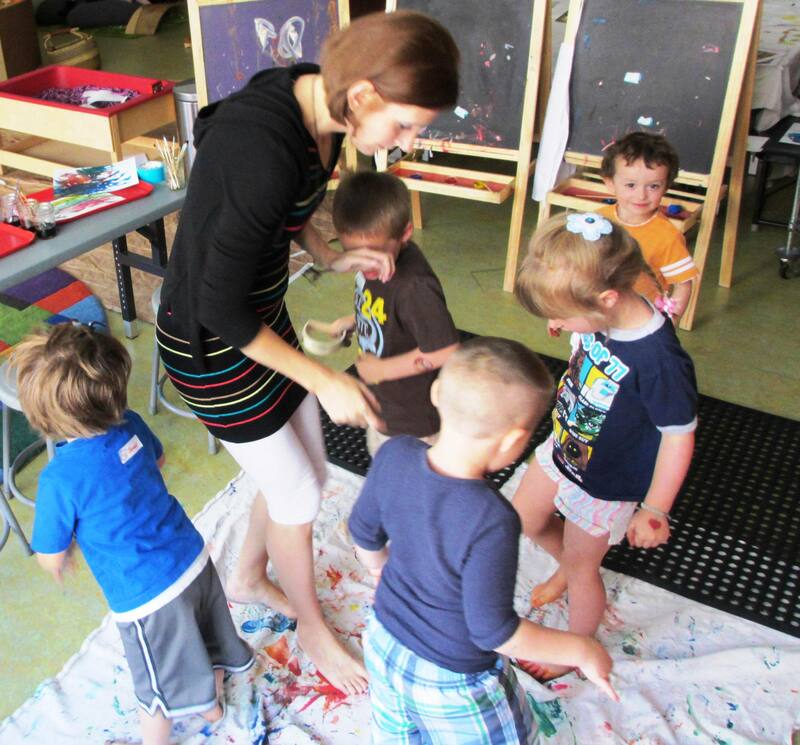 Arts Projects is one of three funding programs administered by the Tacoma Arts Commission. For a complete listing of funding programs and information about the Tacoma Arts Commission, visit cityoftacoma.org/arts.